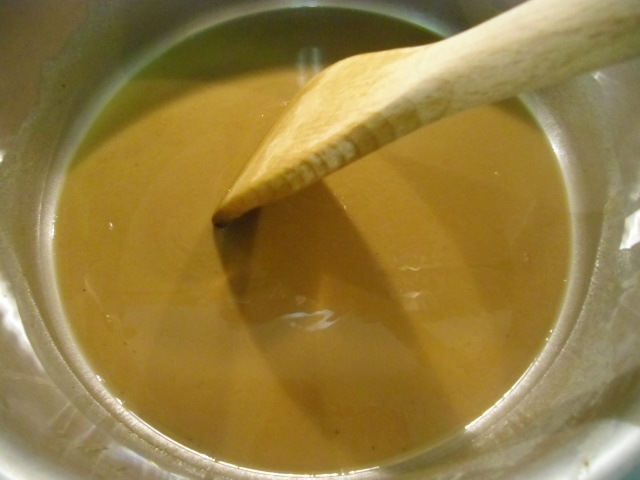 What is a roux (pronounced “roo”), you may ask? It is the base for most Louisiana Creole recipes. It is a very simple thing to make, contrary to what you may have heard. 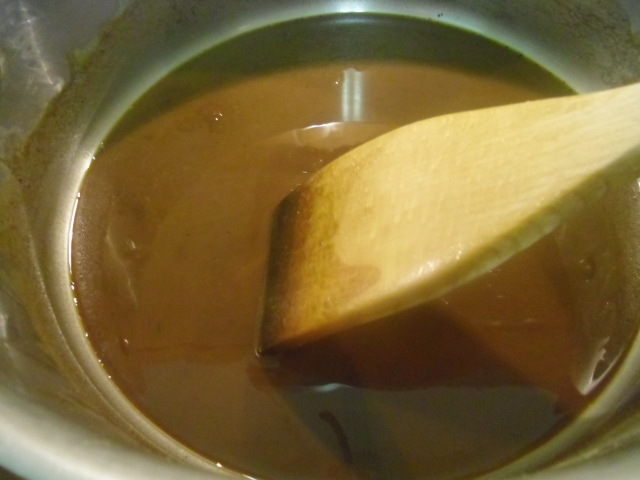 However, the secret ingredient to making the perfect roux is patience. Don’t try to rush it; it is very temperamental and likes constant supervision. 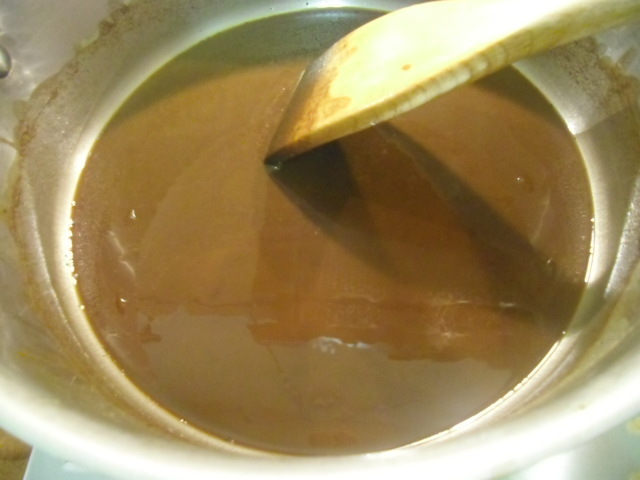 Dump the two ingredients into a pot over a medium to medium-low flame. Stir until the flour is mixed well and no longer lumpy. Now all you have to do is stir (and stir, and stir, and stir) until you get it the color that you want. This dirty-blond color shown below is the color after ten minutes. I would use this as the base for an étouffée. It’s a little bit darker – a chestnut brown – after fifteen minutes. Twenty minutes into it, it takes on the color of a pecan. I would use this as the base for seafood gumbo. 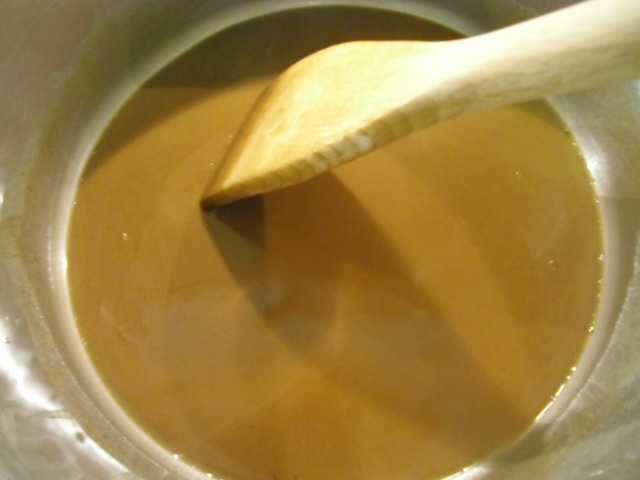 Below is the color after twenty-five minutes of constant stirring. And thirty minutes from start, you have this beautiful chocolate-brown color. This is what I would use as the base of a chicken gumbo. 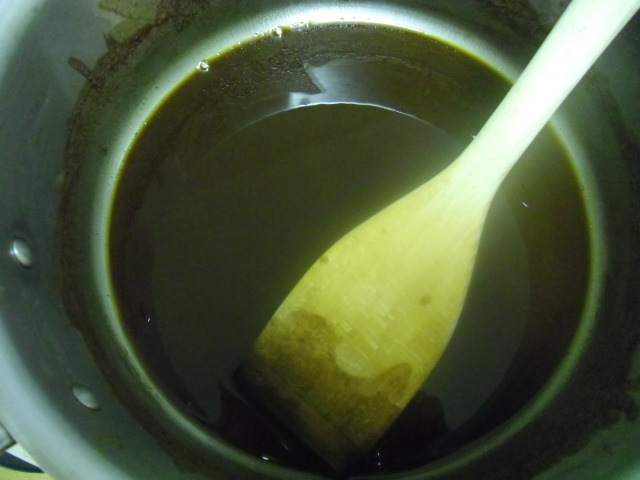 So there you have it – a roux! Pretty simple, don’t you think? Use if now or freeze it for later. I’ll add the link to this page to Maw Maw’s Seafood Gumbo recipe, which I am printing out, to refer back to later. I love how you have shown the different stages in the colour of the roux and told us which stage of colour is used for which recipe.